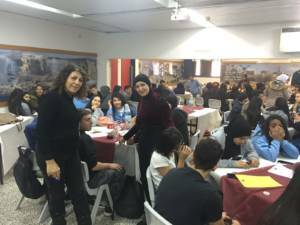 The Bridges to Peace project aims to bring together students from schools in different sectors of the Israeli society, and to encourage a positive, tolerant discourse. The Bridges for Peace programme, operated by the Sci Tech Israel Network in collaboration with the Peres Center for Peace and Google, encompasses some 1,000 students from all around Israel: Jewish and Arab youth who experience together a variety of activities addressing issues such as leadership and identity. 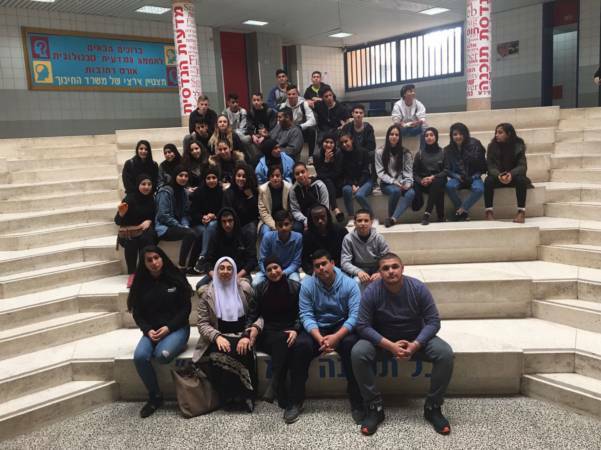 In the framework of this project, students from Sci Tech Rehovot met recently with their peers from Sci Tech Ramla Arab Comprehensive High School, aiming to pave the way for communication and multicultural discourse between Jews and Arabs. As a result of this meeting, the students expanded their circles of acquaintances, met new friends, and sowed the seeds for a communication channel that they may lead further down the road, as the future leaders of Israeli society.